I am a recent college graduate from Rocky Mountain College (May 2016). I was born in Miles City but spend most of my life in Alaska and Wyoming. I graduated Rocky with a degree in Business Administration with concentrations on Small Business Management and Management and a Minor in Economics. 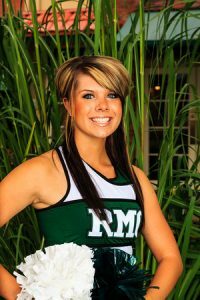 I was also a member of the RMC Cheer team all 4 years. I am currently the Double Tree Meeting Director and hope to open a wedding coordinating business in the future.